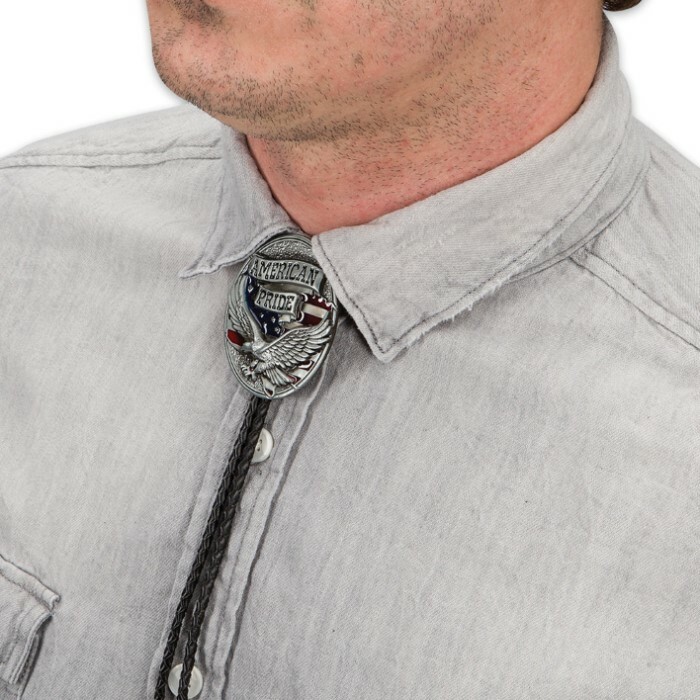 American Pride Bolo Tie | BUDK.com - Knives & Swords At The Lowest Prices! 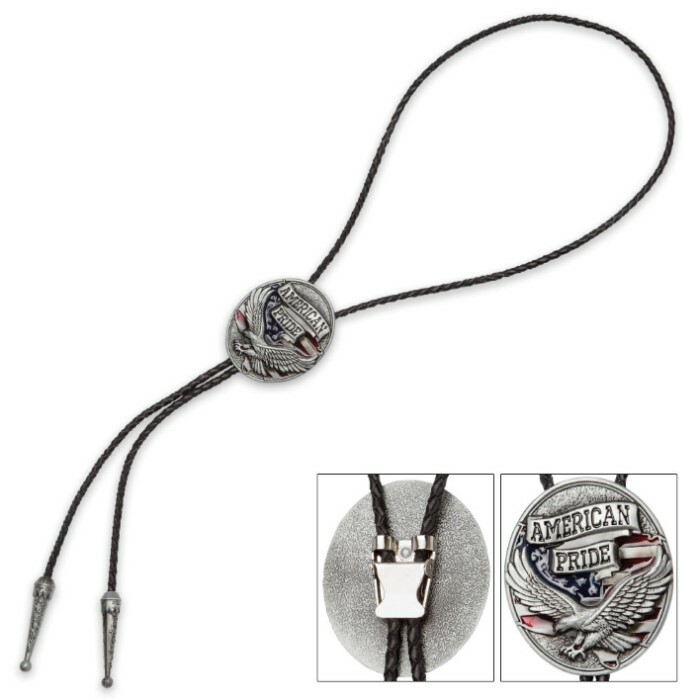 A striking tribute to the America Flag, you can wear this bolo tie with pride. The painted artwork is vibrant and highly-detailed, as are the finely crafted aglets on the ends of the braided leather-look cord. The bolo medallion is constructed of a durable metal alloy with a metal locking clasp and the tie is 19 1/2” in length. 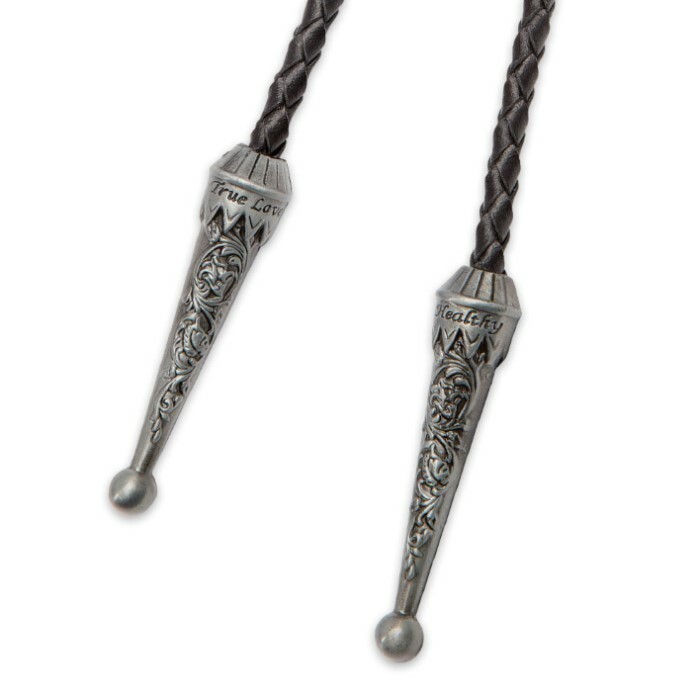 There is nothing like a bolo tie to complete your Western look but these shoestring ties have proven themselves over the years to go with just about any style!